Home | Essential Oils | Rosemary Essential Oil Explained: Love Grows Where My Rosemary Goes! What Is Rosemary Essential Oil? Where Does It Come From? Growing up on a small holding, I remember helping my mother tend to her herb garden on a regular basis. She used to surround the herb garden with rosemary bushes as a way of keeping pests out as it’s naturally pest-resistant and to encourage bee activity in the spring-time. Rosemary is an evergreen shrub, so it looks nice all year long and provides a consistent yield all year round. We had so much of the stuff that it was a common ingredient in most of my mother’s dishes and baking experiments. It was only later in life that I actually encountered rosemary oil for the first time – the smell immediately took me back to that herb garden all those years ago. 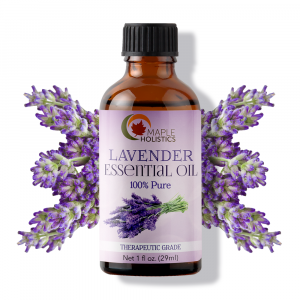 It’s such a powerful and potent essential oil that it should be used sparingly, but is incredibly effective for a variety of things. From aromatherapy, skincare and massage oil, to a natural disinfectant and immunity booster – rosemary oil is really a testament to the strength and versatility of natural products and a real gift from basket that nature provides for us. The rosemary bush is native to the Mediterranean regions and was commonly used during the time of the Roman and Greek empires. In fact, its name is derived from the latin word rosmarinus officinalis, which directly translates to ‘dew of the sea’ (a fun google fact) and had it’s place in Greek mythology. According to Natural History written by the historian Pliny, Aphrodite (goddess of beauty) was born from the sea draped in rosemary. As I mentioned in the previous paragraph, rosemary is an evergreen shrub that is considered easy to grow and drought-resistant, making it ideal for large-scale cultivation. Because of this, rosemary is grown and cultivated all around the world and some of the largest suppliers can be found in the USA and Most parts of Europe. However, France and Spain have become the largest suppliers. 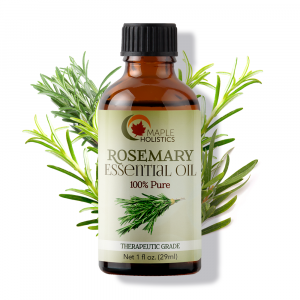 Rosemary oil is the pure extract that is derived from the bush via a variety of different extraction methods. The most commonly utilized method for extracting rosemary essential oil is through a process known as steam distillation, wherein the oil is separated from the organic matter by the effects of high pressure caused by the introduction of steam into the distillation chamber. The heat breaks down the organic matter and the vapor carries small particles of essential compounds to the condensation chamber where they are cooled and form droplets of pure extract oil. Because of the popularity of rosemary and large-scale cultivation, it’s also a very affordable essential oil and shouldn’t cost you more than $10 per 10 ml on average (excluding shipping of course). Rosemary essential oil can be used to treat everything from the flu and the common cold to headaches and nausea. It works well as a mild analgesic and also has strong natural antioxidant properties – great for helping you detox your system and stay healthier for longer. However, the beneficial uses of rosemary oil don’t just stop there. About 2 months ago, I accidentally clipped my leg on a branch whilst cycling on an offroad course. The cut wasn’t anything severe, but it was an open wound and I was worried about a possible infection. Whilst on the trail I simply applied a plaster I had with me in my bag, but when I got home I took a warm shower and gently applied a few drops of rosemary oil (and a little lemongrass essential oil extract) to the wound with some cotton wool and dressed it neatly. The oils worked immediately and I felt the light sting of antiseptics going to work on my wound. I applied the solution twice daily and within a week, the wound had healed very well and there were no signs of infection or long-term scarring whatsoever. Now I carry a mixture of rosemary oil and lemongrass oil in my bag with me whenever I go for a ride, for just in case. 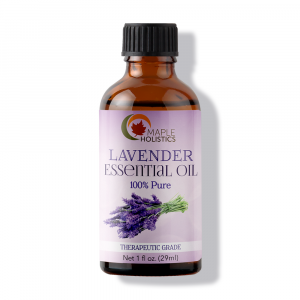 Essential oils are rapidly becoming commonplace in treating and sustaining hair health in both men and women. When used correctly, their natural qualities have amazing and lasting effects on hair follicles and the scalp and don’t have any side-effects – or high prices! 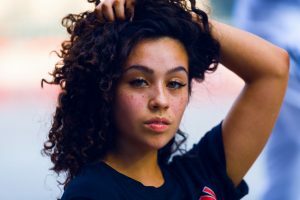 A lot of people are initially worried about using essentials oils in their hair for the simple reason that they don’t want to be left with messy, oily hair. The key is in using the right oils for the right reasons and ensuring that you follow the correct methods when it comes to applying the oils to your hair. Firstly, rosemary oil is a natural antioxidant and anti-inflammatory, which means that it can be applied to the hair in the form a hot oil treatment or as an active ingredient in a DIY conditioner. It will help relieve your scalp of any inflammation (which is normally caused by poor diet or circulation problems) that may often lead to a dry and itchy scalp, the route cause of most cases of dandruff. 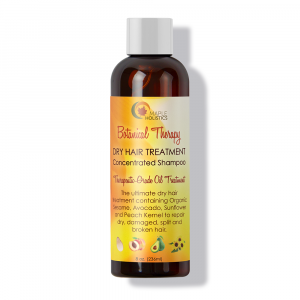 So essentially, it’s a and healthy alternative to those costly anti-dandruff shampoos that often dry your hair follicles out or can leave your hair with less nutrients and less volume. The hot oil method is essentially heating rosemary oil with a carrier oil such as coconut or castor oil to the point where they mix, then leaving them to cool until you can handle the mixture without burning yourself and massaging the concoction into you hair from the scalp down. After 15 minutes, be sure to wash the mixture out by shampooing as per normal (preferably a natural shampoo product or conditioner – the fewer ingredients the better). 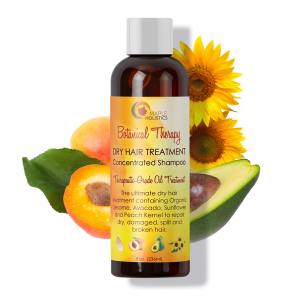 By utilizing this method, the natural antioxidants and conditioning agents penetrate the hair follicles much deeper which strengthens and nourishes the hair from the core. By utilizing the hot oil technique, you also remove any excess oil that may remain in the hair follicles or on your scalp after normal washing, which often leads to greasy or ‘clumpy’ hair. Himalayan Salt Lamps Explained: Healer Or Hype? Rosemary is a very useful for promoting hair growth when used correctly and in fact forms the basis of many natural (and typical pharmaceutical) products that are aimed at stimulating hair growth or generally slowing/preventing hair-loss. Generally, over-exposure to air-pollution or constant use of chemical treatments on your hair can lead to the buildup of free-radicals in your follicles and on your scalp which will block up your pores and could even lead to poor blood cell circulation if they’re left untreated for a long-time. This could slow hair growth and in some cases, can even lead to hair-loss. Rosemary is rich in natural antioxidants which will help to encapsulate and remove free-radicals before they can react or build up on your follicles or scalp. One of the main causes of alopecia (or pattern baldness) in men is based on a biochemical process that may occur anytime after puberty – in some cases it happen earlier than others. Essentially there is an enzyme in your hair follicles (known as ‘5-alpha-reductase’) which converts the testosterone that your body produces into a hormone known as DHT (dihydrotestosterone). The DHT becomes stuck in the base of your hair follicles and slows your hairs natural rate of growth and can eventually even ‘choke’ the follicles, causing them to fall out or die off at the stem. It is known that rosemary oil, when massaged into your scalp, inhibits your body’s production of DHT, allowing the hair to grow at a steady rate and ensuring long-term health. As I mentioned before, rosemary oil is strong natural antiseptic and so is ideal as a topical treatment for open wounds and in preventing bacterial infections such as athlete’s foot. Like I said, I always carry a bottle of the stuff around with me whenever I go cycling – the same applies to those who go to the gym often or workout a lot. The oil has a pleasant and long lasting aroma and can be used as an effective natural ‘roll-on’ deodorant. It not only makes your pits smell good, it actively kills any germs or bacteria that might linger after a workout or long jog. This means that you’ll smell fresh and feel good for longer and there’s no risk of staining your clothes or drying out your skin – which happens quite regularly with most standard roll-on types. Rosemary oil can be applied to areas afflicted by muscle pain as a way of improving blood circulation – the local analgesic qualities of the oil will also help alleviate you of direct pain caused by your affliction and will leave your skin balanced and moisturized. Rosemary is also great for targeting cellulite and stretch marks. The plant’s natural ability to improve blood circulation means that your body is able to flush out toxins more regularly. The flushing of toxins leads to healthier skin and improving blood circulation improves skin elasticity and ensures that your skin is re-hydrates quicker – helping speed up the healing process. Rosemary also acts as an antirheumatic agent which means it can help reduce joint pain often caused by heavy lifting or rheumatism. The antibacterial and anti-fungal properties of rosemary oil mean that it can remove any germs or excess debris (free-radicals) that may get stuck to your skin and buildup over time. This buildup of debris and dead-skin cells (something happens everyday and is unavoidable), coupled with an excess of sebaceous oil produced by naturally oily skin types generally leads to blockages which cause blemishes on our skin such as blackheads and can eventually lead to acne. By washing your face regularly with warm water and gently applying the rosemary oil with cotton wool to the affected areas, you essentially moisturize and tone your skin whilst allowing the antibacterial qualities to take effect and kill of any germs. However, it is important to note that skin conditions like acne aren’t always treatable entirely from a topical approach. It is important to ensure that you are getting enough rest on a daily basis and that your body is regularly hydrated (at least 2 liters of H20 a day). 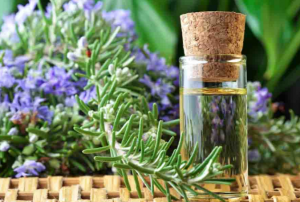 However, rosemary does work very well with regards to treating topical skin conditions such as psoriasis and eczema as it conditions and moisturizes the affected area as well as fighting inflammation and removing excess skin cells. It’s a wonderful natural replacement for the countless pharmaceutical creams and lotions that cost a small fortune and often have severe side-effects. There are two really simple ways to producing your very own rosemary essential oil in the comfort of your own home, and I’ll explain both to you briefly! Place 1 cup of rosemary leaves in a slow cooker and add 2 cups of sunflower oil to that, covering the oil. Set the slow cooker to a low heat and allow it to simmer for 6 hours. Once the time has elapsed, filter the oil through a sieve or cheesecloth filter – the remaining oil is what you’re after. Note, if you don’t have a pressure cooker, you can also bring a medium sized pot of water to a simmer (not boiling) and place a heat-resistant glass bowl on top of that with the rosemary and sunflower oil inside and cover with a lid or thick cloth. Option 2 is really simple, it just takes a lot longer. Place a cup of rosemary in a seal-able glass container and then fill the container with your carrier oil (extra virgin olive oil also works well). Then simply leave the jar on a sunny windowsill or outside in the sun for about a week. Filter the oil through a sieve or cheesecloth and voila! Rosemary oil. Rosemary has played a real part in my life – outside of healthcare and my passion for natural products. By learning how this plant plays such an important role in nature first hand, I gained my first insights into the workings of the so-called ‘natural way’ as a child. Experience like that is truly priceless. On the other hand, the logical adult in me is inspired by how much influence a simple herb could have on the history of our species. From inspiring myth and legend to healing those affected by all means of ailments – rosemary is more than just a herb. It’s really a solution, a tool – perhaps even a symbol. A symbol of how if we take the time to really focus on our surroundings and our environment, we’ll realize that everything we’ve ever really needed is quite often right in front of eyes, waiting to be discovered, utilized or harnessed.